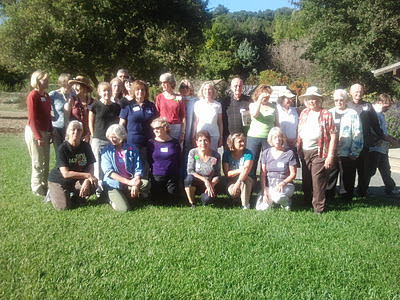 Over 25 volunteers from Northern California met as Hidden Villa on Oct. 22, 2011. Eliza, Jill, and Pat from Heifer International had a full agenda planned! Nine of the Sacramento area volunteers attended the event and we all had a great time and learned a lot! We started the morning with ice-breakers to get to know other volunteers in our region. Pat then shared with us the variety of ways that volunteer groups around the nation are working together to end hunger and poverty. We had time to review Heifer's Corner Stones, to look at our plans for the next year, and to brainstorm projects and activities for the coming year. Don shared his power point presentation of the Heifer study tour he took in May 2011 to Zimbabwe. The group visited a Heifer sheep project where they witnessed a Passing on the Gift event. They also saw a biogas project funded by Heifer to bring methane gas to the homes of villagers and a poverty reduction group just getting started in Zimbabwe. The group was greeted with singing and dancing everywhere they a very emotional experience. 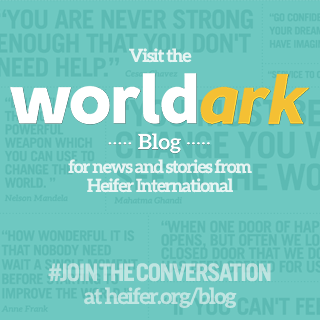 It was a wonderful opportunity to see the country and visit the work that Heifer is supporting in that country. March 24, 2012 - Our volunteer group will be gearing up to participate in a nation-wide event to thank contributors and build stronger ties with our local supporters. Next Meeting- November 7, 2011- Campus Commons Board Room at 6:00 pm.